Were you one of the early adopters who jumped to a Fuji X series, selling your extensive Canon camera body and lens range, to be thoroughly unimpressed with the image quality to then jump back? Or did you fork out on a PhaseONE medium format, drooling over that dreamy tonal range to then see Pentax release the rather good 645Z for a quarter of the price a year later? Enter the "Yesterday's Tech" purchasing model. We've all succumbed to GAS (gear acquisition syndrome) at some point in our photographic careers. In my alternate GAS-fueled life I identified four potential reasons for acquiescence. Firstly, simply because it's new and no one else has it. This is what is called "invidious consumption" which was developed by the nineteenth century economist Thorstein Veblen. He described it as the outwardly public "consumption" of goods in order to provoke envy in others and, let's face it, it does feel pretty good to pick up that brand new EOS R at B&H, post the unboxing video on YouTube, before proudly walking down the street with it. And that's before you've actually taken any pictures! The second reason for GAS is because it solves a problem you don't have. You were impressed by the high 20fps frame rate of the Sony a9 when it arrived on the scene and that camera remains game changing for sports photographers who work in a high octane genre and demand not only rapid fire imagery, but class leading focus tracking. Except you're a landscape photographer and don't actually need it! Thirdly, the product you've bought actually doesn't work! There is a whole heap of gear I could happily discard as rubbish that I shouldn't have bought in the first place. Usually it's lower cost items, but every so often you find a leading manufacturer who manages to produce something that really, well, shouldn't have been released. I'm looking at you Nikon with the first release of SnapBridge. In fact, the golden rule of thumb for class leading kit under active development is to buy the third iteration. Think the Sony a7 or, indeed, Tesla. Fourthly, unlike point three, it does work but is actually far too much effort to be worthwhile. You think you really want those raw files on your smartphone so buy a portable hotspot to transfer your images and then find it's slow, fiddly and, at the end of the day, not really any better than taking a snapshot with your phone in the first place and editing it directly. Does this piece of gear genuinely give me a competitive advantage? Some new products are a slow burn. Take the mirrorless camera. They've come a long way since the Epson RD1 (released in 2004) which cost $3000 and you'd have been hard pushed to pay for that in terms of competitive advantage, yet they have redefined the camera market. 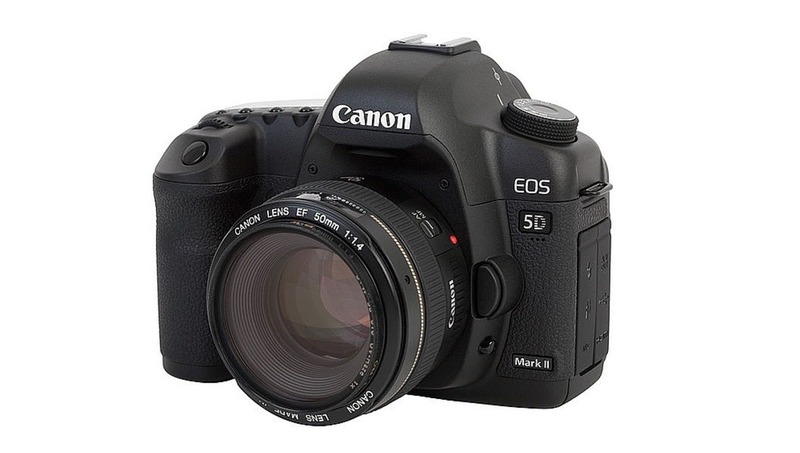 In contrast the Canon 5DMkII revolutionized independent film making. If you bought one of these, then you were able to create filmic quality videos. And that really could have paid for itself. Whether a piece of gear is actually worth what you pay for it only you can determine. However the following exercise might allow you to gauge the sorts of successes you have had. Go through every piece of gear you have (and I mean every piece of gear! ), then type the name, purchase date, and price in to a spreadsheet. It's also worth adding the resale value (if there is one). Just adding up the total cost and resale value columns will be a salutary reminder of how much you have spent and what it is now worth. You could sort by purchase date to see how much you have spent each year and then review the last time you used each piece of gear. The intention is not to beat yourself with a stick about buying gear, but rather to objectively assess whether your purchases are providing value for money. The "smell test" is whether you are actually using it. If not, sell it and assess any new potential purchases in the light of what you now consider to be gear that didn't provide value for money. While you are undertaking this exercise, why not write down the serial number and, If you have the receipt, take a picture of it. Why the serial number? This is a great way to do a stock check and value your gear. It then makes dealing with lost, stolen, or broken equipment so much easier. When I went through this process for my gear, it showed me that I have a penchant for buying little gadgets and lenses, many of which are little used. Some of the gadgets include a right angle view finder, close-up lens, UV pass-through filter, Lee graduated filters, and a bargain reversing ring. Other more expensive items that don't pass the smell test include an IR converted camera, Nikon 105mm f/2.8 macro lens, Nikon 24-85mm f/3.5-4.5 zoom, and Manfrotto carbon tripod. What are used extensively include my aging Nikon D700, 70-200mm f/2.8, 85mm f/1.8, 50mm f/1.8, 35mm f/2, and 24mm f/2.8 lenses. Alongside these my Blackrapid Breathe strap, 3Pod travel tripod, Lee filter holder (and Super Stopper), and Fuji Instax SP2 printer all see extensive and regular use. Both the Sony RX100M2 and Fuji M1 cameras are used in conjunction to provide some extra latitude. I should moderate that principle by saying that while "yesterday's tech" is often great, "last week's tech" won't necessarily be. Don't worry about not being on the latest and greatest kit, but do know when to upgrade. As a business, where you can gain a competitive advantage, buy the latest gear that will deliver it. 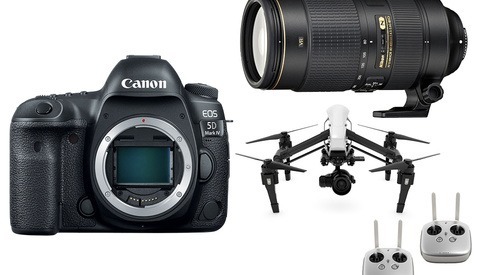 Are you a "yesterday" tech user or do you buy the latest camera offerings? Does it deliver for you? What purchasing tips do you recommend? Lead image in the Public Domain via Wikimedia. Copy image courtesy of Lucas Favre via Unsplash, used under Creative Commons. I am definitely a "yesterday's tech" user. My purchasing tip would be to wait until a camera body is replaced by a new model and discontinued. Then wait a bit more until it drastically depreciates on the used market. Once prices for used models drop to about 40% of what it was when it was new, then it's ok to buy yourself a used copy. Let someone else suffer the vast majority of the depreciation, and then buy it used from them - just like smart people do with cars and trucks. 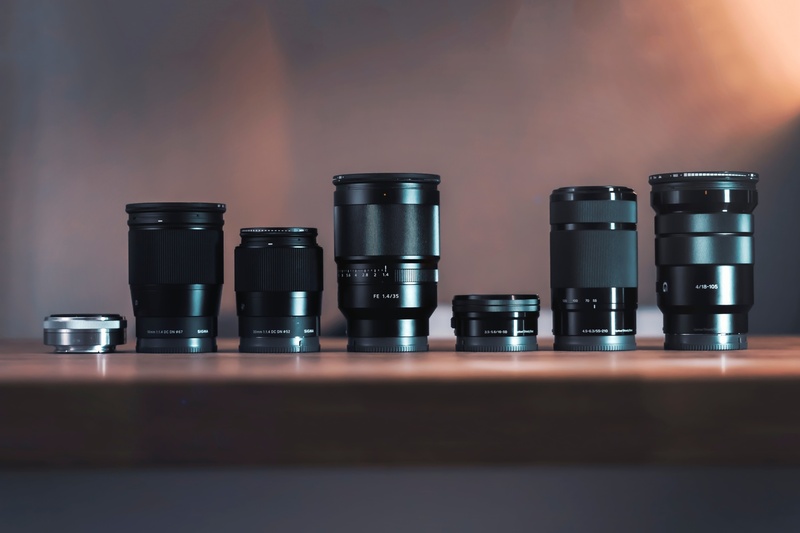 Lenses don't depreciate nearly as quickly as cameras do, but you can apply the same principles and only buy used lenses, preferably after they are replaced with an updated model. Wait until that $8,000 500mm f4 is replaced with an updated version, then wait a couple more years and pick up a used one for $3,000. Of course I'm only talking about the really expensive supertelephotos that cost many thousands of dollars. If the lens you need is only a thousand bucks or so, then it's best to just go ahead and buy it, because waiting years and years for the price to drop is only going to save you a few hundred dollars, and cause you to miss out on quality image-making opportunities ..... that would be penny wise and photo stupid. This tip is meant for those who are concerned about getting the very most that they possibly can for every dollar spent. If you have lots of money and don't really care about saving very much, then of course it works to just buy what you want and not worry about depreciation. A multi-millionaire doesn't need to buy a 5 year old car with 90,000 miles on it ..... nor should he buy a used, discontinued camera body. "...every so often you find a leading manufacturer who manages to produce something that really, well, shouldn't have been released..."
Canon 1D Mark III AF / sub-mirror catastrophe. Yeah I got burned by that one. That was an unforgivable F-up. 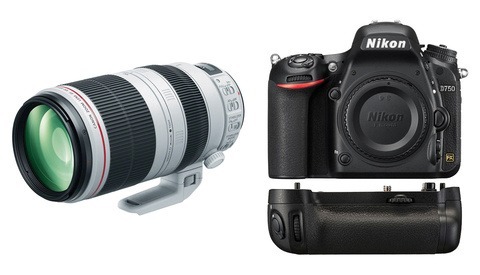 I jumped right back to Nikon when the D700 hit the market. The Canon 5D mkii can do everything I need it to do, while eliminating the overhead of continuous upgrades. I'm in this business to make money. One half of the profit equitation is income. The other half is expenses. Haha. Your original comment is how I feel about my X-T2's. The two main ways I make money in photography is real estate and weddings. Trading in two X-T2's for two X-T3's makes no sense for me from a probability standpoint when I would make the same money regardless and the results are essentially the same. Yes, I bought my camera yesterday. I am probably not the target of this article as an enthusiast/amatuer photographer, but I do use yesterday's tech. I shoot with a hand-me-down Nikon D200 with either the kit lens or a 35mm prime. That said, nobody that interacts with me while I am taking photographs ever understands just how old and outdated my camera is. They just see a DSLR body and assume that it's a "professional" camera. This has allowed me to have some fun doing photography on a "pro bono" basis for local organizations where my wife volunteers. I don't have any stress placed on my shoulders because there is no real contract and they get far better pictures than what any smartphone can produce, regardless of megapixels. Since the images just end up in a forgotten folder, or posted to social media anyway, nobody really ever needs me to have a flagship full frame camera. Someday I'll update to something nicer, but until then I'll just keep masquerading as a professional providing services for free. When my D300s died, I went to D610, then D750 to keep the small body size. As I felt unconfortable with the ergonomics, I return back to the D500. I never regrets! I regularly shoot on film hah. I actually have more film cameras than digital, WAY more. I bought the A7iii last year for my first FF camera. Figured I’d rather not skimp since I’m planning on keeping this for at least 5 years. I also paid the $80 or whatever on BHphoto for the extended 4 year warranty. So I know I’m covered and will love my camera for a long time. It’s also saved me money because now I don’t feel the need to upgrade my smartphone camera very year when something “groundbreaking” gets updated. I own and use the exact camera and lens shown as the cover image for this article. Maybe not the exact one from the photo, but you get what I mean. 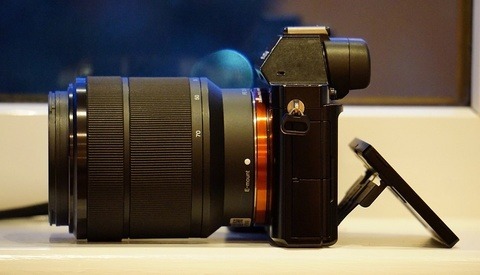 An excellent camera which remains highly capable even in old age. I do however also own a Fuji X-Pro1 ... which I definitely liked the idea of more than I like the camera itself, and which has not aged so well. Despite its shortcomings, I do think my future lies with Fujifilm and I'd be tempted to pick up one of their newer camera bodies at some point in the future - but probably on the used market this time, although I got my X-Pro1 at a very good price new with two lenses with some money I came into so it didn't break the bank. The majority of my film equipment is notably older than I am, and my digital stuff a mix of somewhat modern (Olympus E-M1 Mark II) and getting up there in age (5D, 5D Mark II). Yep, I still have my 7D Mk1 (please don't kick sand in my face). Clocked it nearly twice, still does the job. The only gear I've bought in the last 2 years is an ND filter. As a Nikon F2, F3, D1X, D2H, D700, D800e user, I love my old tech! I use a very similar kit! Glad to know there's someone out there doing the same! D600 with the 35 f2D, 24 f2.8D, 50 f1.8D, 85 1.8G, and 70-200 2.8 vr1. Also compared to top-of-the-line lenses, slightly older & slower lenses can save a TON of weight in your bag in addition to the savings in your pocketbook. My best setup is Mamiya 645AFD+Kodak Pro Back with old Mamiya 80mm f/1.9. Also I use Kodak SLR/n, Fujifilm S5 Pro and Fujifilm X-T1. Do I need new camera? Maybe, but now I more thinking about film back for my Mamiya 645AFD. Photography does not really cost me very much at all, and I have all of the best gear. Granted I have about $20k in gear, but I buy used and only when I can get a good or great deal. I buy my gear mostly through Craigslist since I live in the greatest place in the world to find used professional gear. I am able to resell and replace gear whenever needed and I can't remember the last time I lost money reselling something. If I did it wasn't more than a couple hundred dollars. If you buy used and replace your gear every couple of years then photography is actually pretty cheap. Especially when you know what you're doing, like I definitely do as I used to work for a major camera store so I know how to inspect lenses and camera's. I recently purchased a Nikon 35mm 1.4G and 85mm 1.4G for a total of $1470, and I know that if I resold them today I would actually make money. However even if I lost a little or had paid more, the true cost would have been less than renting them for a week. I bought a D850 brand new US model for $3100 and used it for 6 months and resold it for $3200, because they were sold out when I resold. I never bought new tech, too expensive for me! I started with a Canon G2 when my son was born, I so much wanted to use the old Nikkors I had inherit from my dad and the dream camera to mouth them on was the Fuji S5Pro which was way expensive at the time so I had to rely onto a used, sorry Nikon, Canon 20D with a standard zoom which led me to the SLR world. When the Fuji S5Pro became EndOfLine I could finally afford it, I bought it used off the UK (and I live in Italy), it was everything besides easy to use ManualFocus lenses on a SLR with such a small viewfinder so next purchase was a friend's used 50/1.4 which got me so many beautiful photographs but I still had to go a long way before grabbing something worth keeping. GAS kicked in and for my 40th I saw another EOL fetish, the Panasonic DMC-L1, what a great looking camera, I thought my dad would have loved it (you always have to find a good excuse to justify your GAS whatever it is), thought about it for two days, went back and got it, brand new at a quarter of the original release price and the lens, oh my, what a lens, the 14-50 D-Vario Elmarit, great colours and so very sharp, sold it less than a month ago with a loss, ten years later, of 25% on the price I paid it, both the buyer and I had a great deal, I used it very little (10K shots and like new conditions). My fetish became a pro body with integrated grip, they used to cost like a used car and as such they remained a dream but in the meantime my beloved Fuji S5Pro crashed from very little height and the top selector became faulty, those colours were so nice and warm I didn't want to risk part off of it and as such sent it to repair and bought another one, I did even add a Katzeye focusing screen, another GAS attack, what did I need it for? Don't ask me but it made me feel so very much a pro, a Pro camera with a Pro screen and, in the meantime, a few f2.8 lenses. GAS still there, found an used D2Xs in the US and asked a friend coming over to get it for me, in the meantime I got an amazing present off a client/friend to whose kids I used to take summer holiday shots with my Fuji S5Pro, he brought me a D800, my only brand new camera which I still cherish and treat like a baby (gonna go to maintenance next week for a clean), the D800 was and still is a great camera, had to tweak it a little to get close to the Fuji colours but no way, Fuji SuperCCD still got no match among what I could see, my GAS was there and got the 85/1.8G (the poor photographer's 85mm version) but MirrorLess started to show off and I was hoping Fuji could revamp the SuperCCD, the look of the X-Pro1 was the same as my old Panny L1 but smaller (and sharper so far) but, again, new product not my cup of tea so I did wait for it to be almost EOL and bought one off France with the mighty 35/1.4, wow, that's sharp over the wettest dreams. I thought that little thing could easily replace the heavy D-SLR (the D2Xs saw action not more than 10 times, maybe...) and as such I could justify some more GAS and got the little 18-55 zoom and the 14mm wide angle, my first wide angle lens which is not easy to use at all, framing becomes so very critical and it is like cooking, ingredients gotta be carefully picked and when you throw in more you won't always get a better result. At the end of the day it still is a lot of money even tho bought EOL or used but it also means accumulating stuff which sees little to no use (see my L1 which got sold with 10K shutter actuations or the D2Xs which I bought with 11K and still lies around 12K or the Fuji S5Pro which I sold with 4K actuations while the other one still sits on the shelf unused), I am glad somebody can enjoy the S5 and L1 I sold, I hope I can give away some more stuff to those who like me back in time suffered from GearAccumulatingSyndrome to fund a 35mm which I am missing and also to start and save for a new body, the D800 still does so very well for me but it is ageing and I am afraid it might leave me all of a sudden. Newest camera I use is a used D610 I bought a month or two ago. Oldest I use is a Zeiss folding 6x9 zone focus camera (Communist East Germany produced version). Yes, I use old gear. The 610 uses D lenses as those are what I use on my F4. I have absolutely no reason to upgrade. New cameras have amazing tech but I never print anything bigger than 8x10 so why do I need anything more? It's also funny to having to explain it's a medium format (and then what is medium format) and that's why it's big and boxy to other photographers I know (#1 is made useless). I usually buy brand new, especially cameras as I hate not knowing the past of a camera, also here in UK can claim back VAT (20%) which means not as much difference. Lighting and lenses more on a cases by case basis, sometimes cheaper used other times cheaper new. I shoot with two Nikon D300 bodies, a D700 body, and a D810 body. Most of my lenses are AF-D lenses, with only two being AF-S. I would have jumped on the Nikon Z 6 if the F-mount adapter let my AF-D lenses use autofocus, but it doesn't. Oh well. I use yesterdays tech. it's cheaper and just as capable of producing excellent images.